Each investment involves various risks. Many people fear to take risks and live in the same situation without any change. Returns are the outcome of taking calculated risks.Higher the risk,higher will be the returns. Risk is the possibility of loss occurrence in an investment. We cannot predict any thing in the future.Human life and physical health is also unpredictable.How we will calculate the risk?It is mainly by the price history,growth potential and fundamentals of the assets. Calculated risk avoid the unexpected vulnerabilities.Some major risks are changes in policy measures of the nation, falling value of currency,changes in interest rates,war, fluctuations in supply and demand,inherent risk in an asset etc.Calculated risk is entirely different from gambling and speculation. It analyse the real value and potential gain of investments with various parameters.It is much superior than short term investment tactics. Creating financial corpus is very important for achieving your life goals. Financial goals differ from person to person.Financial freedom depend upon your knowledge and skills in identification of real value assets. Investing in appreciating assets will create enormous value after the time horizon. But,investor should take the risk and responsibility.He should identify the opportunities and pitfalls.Let us examine the hidden secrets of value investing. 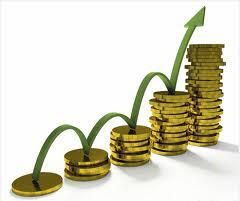 Systematic investments are considered as an effective way to overcome the price fluctuations in multiple assets.It is a disciplined approach of regular investing to reach the financial goals.It helps us to get the benefits from the market volatility by rupee cost averaging and effect of compounding. 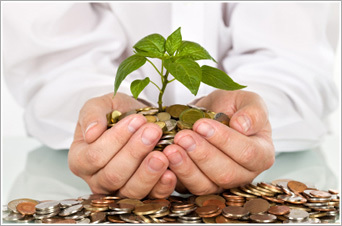 Systematic investment plans are offered by leading asset management companies.You can invest systematically in stocks,metals and managed funds.It is like a monthly recurring deposit in a bank.It helps you to start a forced savings which prevent you from impulse buying and unnecessary expenditure. One need not evaluate the market trend in this method.Systematic investor channelize savings each month for a long period and feel the advantage of averaging. Longer the time frame,larger the benefits of systematic investing.If you invest at younger age,systematic investment plans will yield a decent return in ten or fifteen years.A systematic investor should select right stocks,metals or managed funds.He should invest in a well managed portfolio.Time horizon is also important. Do not cancel the systematic investment in bearish cycles of market. because,the opportunity lies in staying invested and getting maximum units in these period.Check the systematic investing in assets over the last fifteen to twenty years.It has yielded more than fifteen percentage compounded returns for the top performing funds. Knowing about economic and market cycles are very important in investing. An investor should evaluate the current cycle of economy and industry. No one can make profit in recession period.We should invest in cycles of growth and recovery. See the below graph.It shows the movement in an economy over a long time horizon. Avoid buying stocks at bearish market. Look into the economic factors. Is the policy measures of government is positive? How the Central Bank tackle the economic problems ? What is the growth rate of industry and agriculture? How much rise happened in the net profit of the company last quarter and year? If economy is stable,half job is done. An investor should check the industry trends and identify the market leader.Physical market share and Competitive advantage of the company determine returns for an equity investor.Knowledge of financial ratios will help us to identify the right company to invest. Stock and Metals prices always move with the trend.Three types of financial market trends are: Uptrend, Down trend and sideways trend. Up trend provides good returns for investor without intense home work. Indian stock market was in an uptrend since 2003 to 2008.After the bull phase,it faced bearish market for eighteen months.After the crash of sensex on 2008, it revived to the previous level three times. Sideways market face volatile situations. It create confusion among public. Investing in sideways market cannot make you wealthy. An intelligent investor should wait for the right opportunity in the market cycle. Normally, sideways market is the starting of up or down trend.We should know the exact price ranges happening in this period.Range bound cycle is ideal for online traders who use chart analysis and close monitoring of stock and metal prices. Identifying the right entry and exit bring profit.When you invest in gold and other metals, fluctuations are at par with the international prices.If international price is falling down, exit your investments. 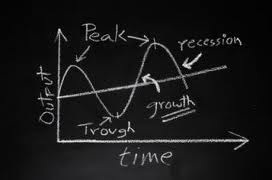 Cycles of growth and recession is applicable in all assets. Selling a property is difficult in a stagnant economic condition. Liquidity is the main problem in these situations. Often, Common people invest in stocks and metals at peak prices with a mindset of euphoria or an exaggerated excitement.That is why many people loose money in the markets. Identification of market cycle is a hidden secret of value investing.We should invest after the depression at the time of hope.Gains in revival periods will be fast.Do not miss this opportunity in stocks,metals or real estate. Follow the below rules in your investments. 1. Examine the prevailing economic cycle before investing. 2. Do not invest in recession period and stagnat market conditions. 3. Check the cyclical movement in each asset. 4. Avoid buying shares or gold at the peak price to protect your capital. 6. Never buy with excitement and euphoria. 7. Do not chase the market.Invest when people are afraid and valuation is attractive. Labels: Invest before the start of boom, market cycle, Market Cycles and Investing, rules in your investments. Wise investments need a well informed decision.In depth knowledge create the right perspective.An investor should understand the nature of his investments. He should learn about the historical patterns of all assets. Information from financial news papers,TV channels,websites and financial advisors are various sources of investment wisdom. Some of my clients follow conservative investing style.They primarily invest in chits, fixed deposits, postal schemes and endowment insurance plans. Do you believe all these are risk free instruments? Many chits and financiers are disappeared from our surroundings which have been identified as conservative investments.Do you know any bank offering 100 % guarantee for fixed deposits ? No.It is only our belief and trust .Maximum guarantee for fixed deposit is one lac in India.If the bank collapses,you will lose hard earned money. Savings account and liquid funds are useful to park your emergency fund.Fixed returns instruments are ideal for keeping money for the short term. But, we should invest in multiple assets to create wealth in a long time horizon.Major life goals require long term investment. Especially, a young man opt wise investment decisions to create wealth for his family.Investing in Public Providend fund will help you to save money.but, investing in assets is very important to meet the major goals such as creating own retirement corpus. Equity represent the ownership in a company as per the percentage of holding shares.Some people think shares are high risky.Wipro has created Rs.350 crore wealth for the equity investment of ten thousand rupees three decades ago.Many companies created huge wealth for investors in India.Investment of rupees ten thousand in 1979 have crossed Rupees ninety five crore by three decades.Infosys shares worth rupees ten thousand in 1992 created wealth of three crore. You can evaluate and experience similar stories of wealth creation in different leading companies.Well managed companies have grown from domestic market to international markets and yielded returns for investors. Success of a company can be measured by it’s total sales and netprofit. It increase the value of Equity price,dividend and bonus.A Long term Equity investor get these three benefits.Equities are highly volatile in short term.Stock prices are affected by the corporate actions, political or economic factors and the market sentment in stock exchanges. However, it pays enormous returns as per the growth of the business.Buying large quantity of penny stocks may erode your capital.Initial analysis is very important for equities.Investment in Stable companies will increase the profitability for equity investors. Simple rule is that you must understand the present and business prospects of the company.An equity investor should examine the annual and quarterly financial statements of the company. We should understand the management quality, market share, competitive advantage and present business projects.Do not invest in a company with degrowth in revenue and net profit in more than two years. Precious Metals are appreciating assets.Gold and silver are called as precious metals or bullions.It is considered as potential store of value and protection against economic recession. Nearly 40 % consumption of gold is for investment. India and China continue as the biggest buyers of gold. Indians are the biggest consumers of gold if we calculate it with the per capita income.Governments and international organisations keep 35000 tonnes of gold reserves,nearly twenty percentage of total gold reserves. Today’s gold supply is very less comparing with the rising demand from central banks,jewelry and investors. Let us see the historical price appreciation in this precious metal. Gold was priced Rs.20 per gram in 1972 and touched record high Rs.3200 per gram in 2012. Investment in gold yielded around seven times returns since 2000.It can be used in your investment portfolio as an asset beating inflationary pressures. Gold price is driven by the demand for jewelry and investment. But,Silver price is mainly fixed by the large industrial demand.Silver has appreciated more than five times in last decade.Silver price is highly volatile in short term.But,the appreciation in long term made it a precious metal. Investment in silver increases all over the world.Silver is available as bars,coins and futures contracts in stock exchanges.Silver use as a hedge against inflation.Certain percentage of silver is widely used by various asset managers to diversify the investment portfolio. 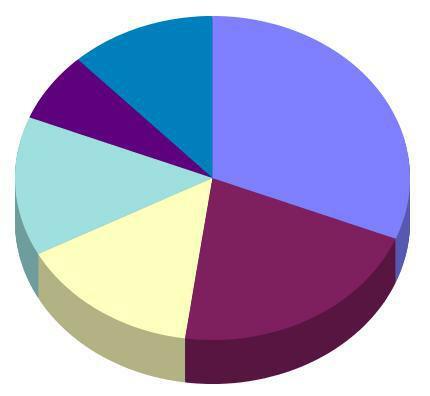 The concept of managed fund was established in Europe.It gained wide popularity in United states since 1934.Now, funds accounted for 23% of household financial assets and 50 % of retirement funds in America. Fidelity Magellan fund managed by Peter Lynch in U.S.A has given 29 % averaged annual returns from 1977 to 1990.In India, more than ten mutual fund schemes have yielded around 20 % averaged annual returns in last fifteen years. Managed funds include Equity Mutual funds, Gold funds, Hedge funds,balanced funds,debt and bond funds and Portfoio management schemes. Mutual funds invest as per the investment philosophy of the fund.Equity Funds primarily invest in the shares of Indian companies. Offshore funds invest in foreign funds which invest the equity market abroad.Debt funds invest in government bonds and corporate debentures. Diversified funds invest in different sectors with exposure in large cap and mid cap stocks.But,sector funds invest in one sector only.Hedge funds and arbitrage funds make returns from the price gap in two markets, normally the difference between stocks price and futures price.Gold funds may invest in gold or gold mining companies. Balanced funds maintain a balance in asset allocation with equal proportion in equity and debt.Portfolio Management schemes are managed by the fund managers registered with Securities and exchange board of india. Minimum investment in PMS is Rupees Twenty five lakhs in India. Asset allocation is the prime advantage of managed funds.It avail schemes for all types of investors. An aggressive investor can choose equity funds. Moderate investors can invest in balanced funds or fixed maturity plans. Conservative investor have the option to invest in Gilt funds which primarily invest in government securities. Realty funds primarily invest in commercial properties and the real estate projects in metros and emerging cities. These are private equity funds registered with SEBI. Ideal investment horizon in a realty fund is is three to seven years.These funds are useful for the real estate investors with less time to identify the location and compare the prices.They can avoid legal and operational hurdles of buying a property.Fund manager does these duties. Realty funds invest in a diversified commercial real estate portfolio.It include Land, business parks, IT Parks, retail malls, housing projects, Special economic zones, townships, commercial buildings, warehousing projects,Luxuary Hotels etc. Real estate funds prefer the projects of established developers with strong brand and timely execution.They exit out of properties when it reach targetted profit. Rising demand and affordability of price make commercial real estate an attractive investment option.Realty funds does the property valuation and select quality projects.Realty funds are in a growing stage in india.Now,more than fifty companies are active in this field under alternate investment category. Location and Quality of project is very important in commercial real estate. An investor should examine the investment philosophy and track record of the realty fund manager before investing.